Directory, Mailing List, And Other Publishers produce collections and compilations of data and information for residential and business customers. The global directory, mailing list, and other publishers market was valued at $50.3 billion in 2017. North America was the largest geographic region accounting for $19.1 billion or 0.4% of the global market. The USA was the largest country accounting for $15.3 billion or 0.3% of the global directory, mailing list, and other publishers market. Directory, Mailing List, And Other Publishers market is currently experiencing significant transformations with the advent of new technologies. These are providing a multitude of new platforms to disseminate the content in innovative ways. Publishers of directories and mailing list have changed their distribution approaches by introducing digital offerings and services which can cater for the needs of the consumers. Directory, Mailing List, And Other Publishers Market Global Report 2018 from The Business Research Company provides the strategists, marketers and senior management with the critical information they need to assess the global directory, mailing list, and other publishers market. Where is the largest and fastest growing market for the directory, mailing list, and other publishers? How does the market relate to the overall economy, demography and other similar markets? What forces will shape the market going forward? 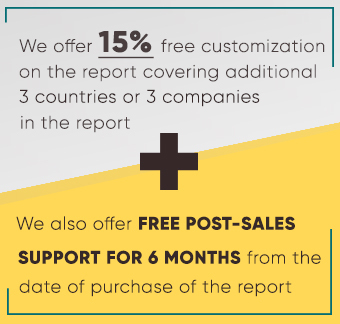 The directory, mailing list, and other publishers market global report from the Business Research Company answers all these questions and many more. � The directory, mailing list, and other publishers market section of the report gives context. It compares the directory, mailing list, and other publishers market with other segments of the directory, mailing list, and other publishers market by size and growth, historic and forecast. It analyses Expenditure Per Capita, The Directory, Mailing List, And Other Publishers Market Indicators Comparison. Data: Ratios of market size and growth to related markets, GDP, Expenditure Per Capita, The Directory, Mailing List, And Other Publishers Market Indicators Comparison.